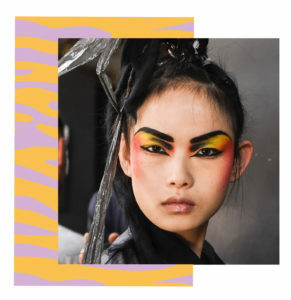 After a busy week of FASHUN and with the fashion crowd moving on to Milan, we can share with you our fave makeup look trends from LFW. Gareth Pugh gave us a runway show like no other serving up vivacious, boundary pushing style, colour burst contour and a gender-fluid line-up that broke the mould. 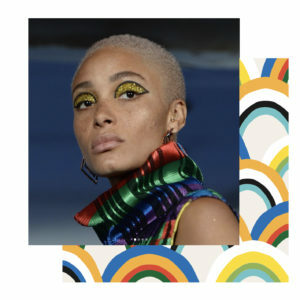 Pugh’s fashion-forward, colour burst makeup was created by Val Garland, giving a nod to next year’s colour of the year Gen-Z yellow. 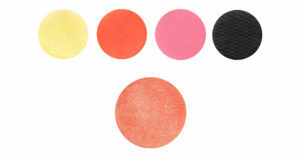 Recreate using our eyeshadows in Kowhai, Pure Orange, K-Pop, Dark Nights and Sangria Blusher. Michael Halpern channelled 60’s glam on the runway, teaming sequinned and graphic print mini dresses with all out glitter eyes. Makeup artist Isamaya Ffrench created empty feline flicks with bold black liner arching just under the brows, filling them with shimmering metallics and heavy glitter. 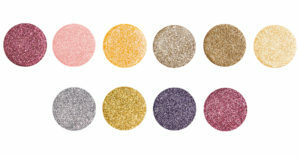 Recreate using your fave colours from our super pigmented shimmer and glitter shades. 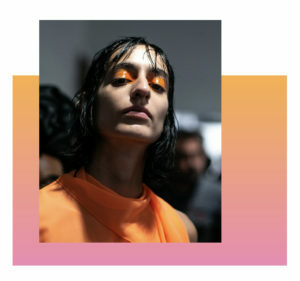 Ashish as ever presented an effortlessly cool catwalk with wet haired models and glossed neon eyes. Isamaya Ffrench applied florescent shadow to the inner corner of eye and melted outwards with a clear gloss topping. 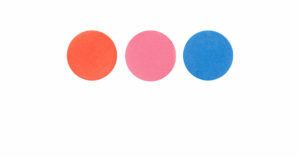 Recreate using Pure Orange, K-Pop! or Bluebell.